We recommend allowing a minimum of a 10ft. x 10ft. 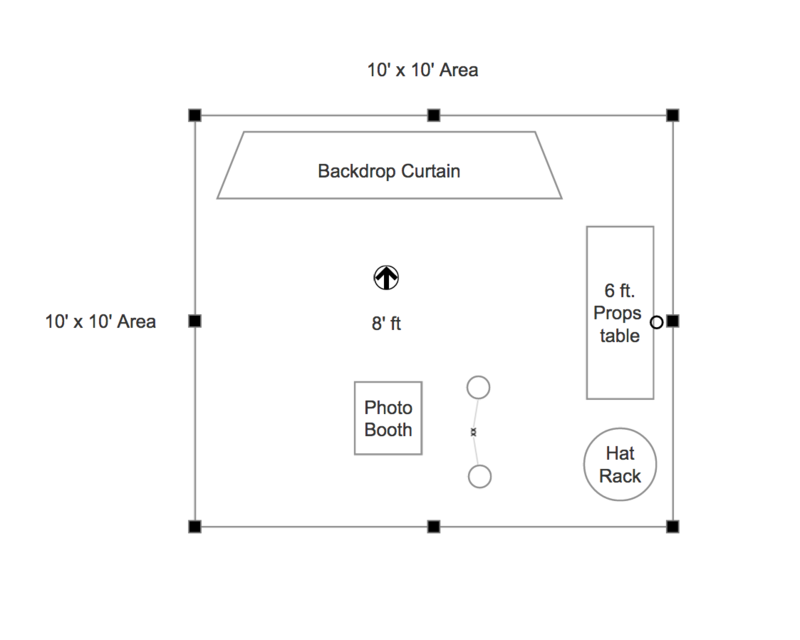 space to setup properly, place props, and allow guests to come in and out. Please view our diagram to see what our set up looks like.